Thank God For Colors: Bring Spring On!!! Good morning today I am coming at ya with a WHISMY STAMP called WEE FLORIST..Coloured with COPICS and shaded with PRISMA PENCILS..I stamped it using MEMENTO TUXEDO BLACK onto white card stock!! 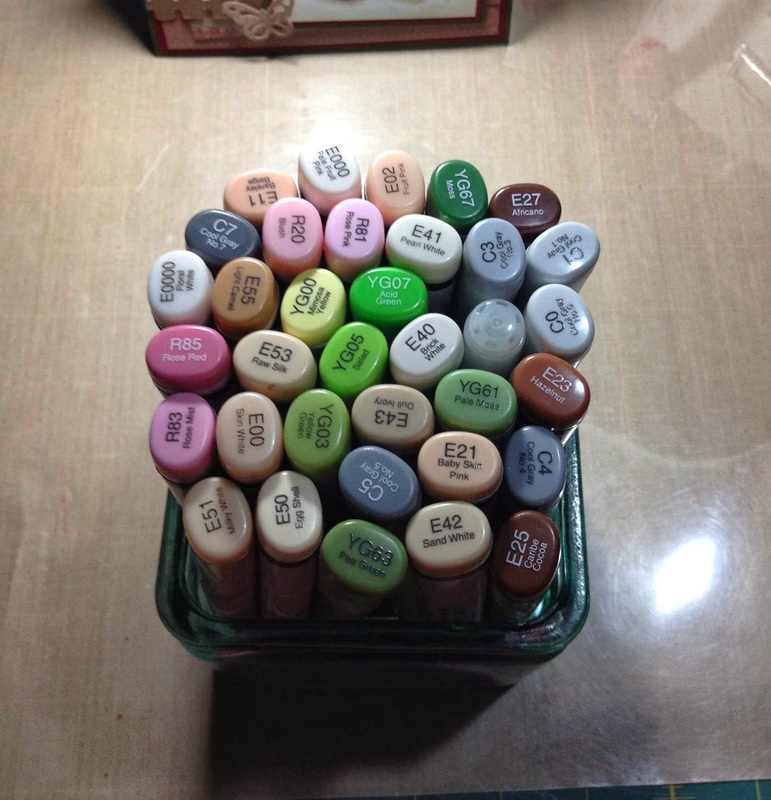 All of these supplies can be found at the awesome store ONE CRAZY STAMPER..also do not forget to join us over at the CHALLENGE BLOG the theme is anything goes using a WHISMY STAMP!! take care be safe, happy and make sometime to create!! This is such a cute image and she is colored wonderfully! I wish spring would get here - pronto! I also love the bird cage on your card! Great job! Kerri...this certainly has me thinking of spring even more! I love your card. You colour with such passion and it really shows! Beautifully done! She's just GROGEOUS Kerri!!! I am always in AWE of your colouring...I may have said it before but I'm sayin' again!!! 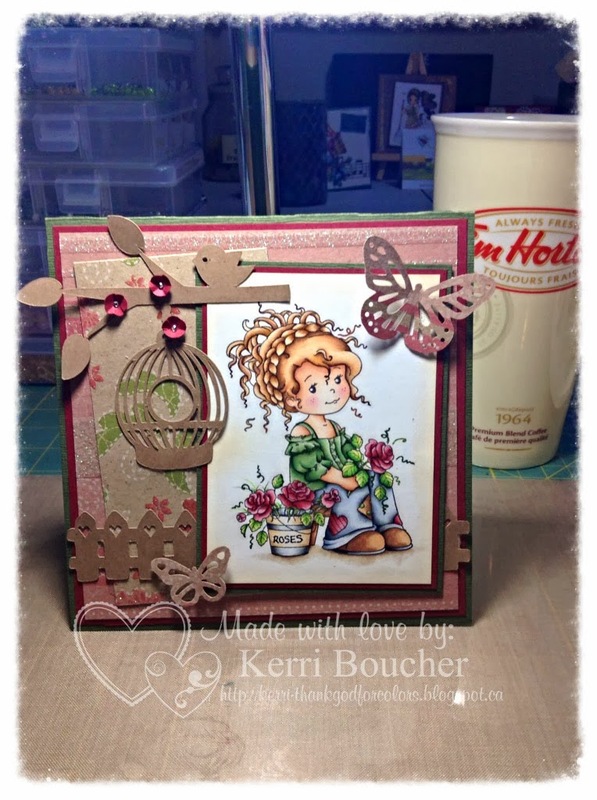 Beautiful card Kerri! !